A generously-sized platter offering an eye-catching way to display your party food. Made from high quality card, the plate combines a stylish hexagonal shape with a geometric design. 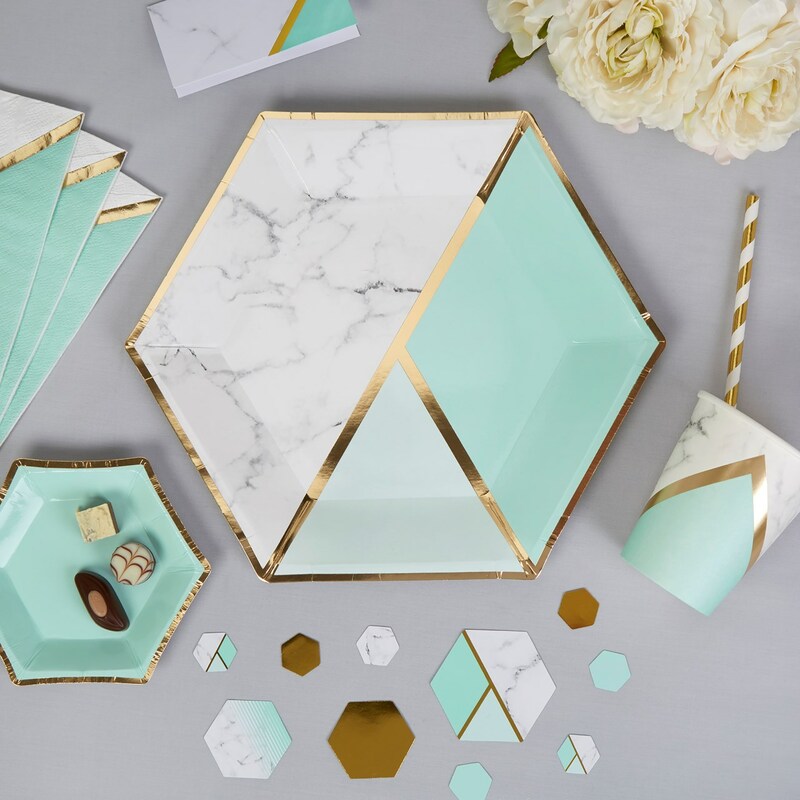 A mix of marble, mint green and gold accents creates an on-trend look for your celebration, and the plate can be mixed in with a medium and small-sized version. Suitable for a variety of occasions. Each pack contains 8 Large Paper Plates, size: 270mm.